This statement, written by West Papuan Independence Leader Benny Wenda was originally published on his website on 30th May 2017. Today the people of West Papua once again experienced more state terror and brutality from the Indonesian military and police. 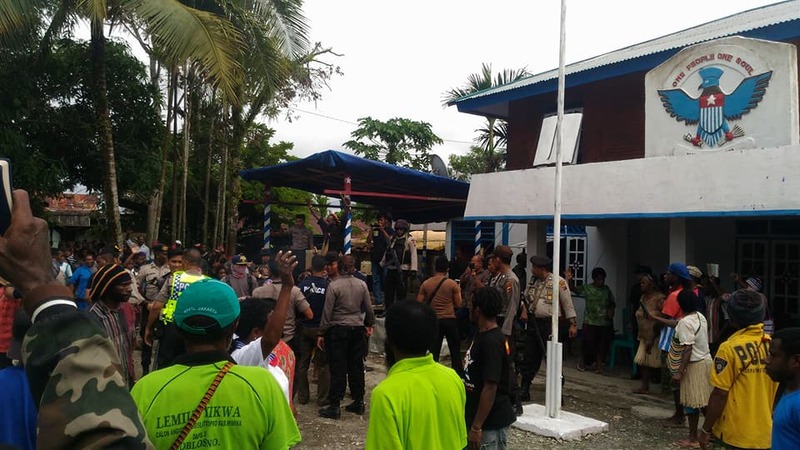 As the local headquarters of the West Papua National Committee (KNPB) and People Regional Parliament (PRD) was raided by armed Indonesian troops at least one West Papuan leader was arrested and remains in detention. 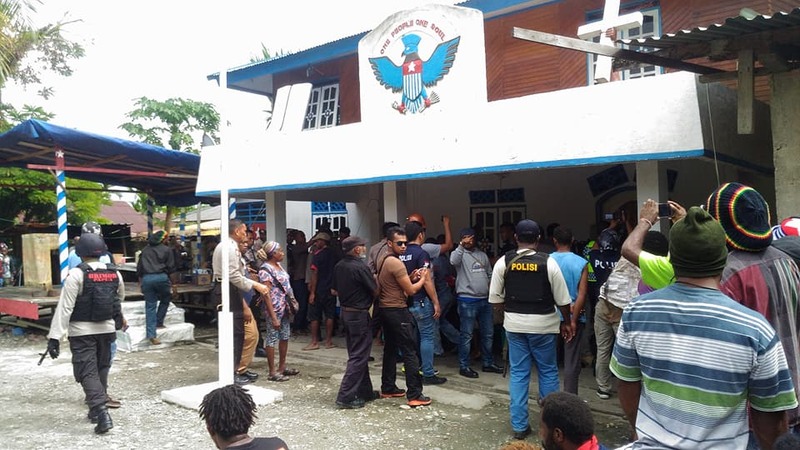 As hundreds of people in Timika were gathered peacefully to hold a prayer and thanksgiving ceremony for the thousands of signatures in the Bomberay region collected manually for the grassroots petition for West Papua, the Indonesian military and police began to surround the church compound. As soon as the local KNPB leader, Yanto Awerkion took to the stage, the Indonesian troops raided the compound. They were fully armed and made up of the Indonesian military, police, Detatchment 88 (“Anti Terror” troops), Kopassus (Special Troops) and Intelligence Services. 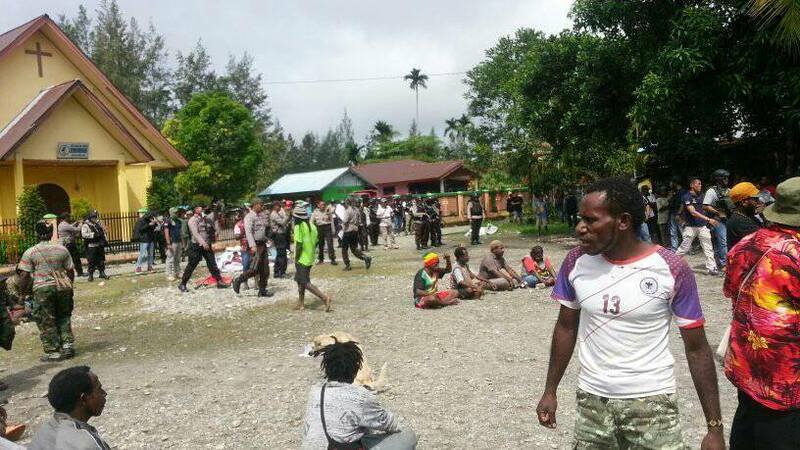 As the West Papuan people sat calmly on the ground and sang hymns peacefully, the Indonesian troops tried their worst to create violence and provoke the crowd by being as aggressive as possible. They smashed the gate and tore through the compound, raiding the headquarters and confiscating everything including clothes, flags and banners calling for self-determination and an Internationally Supervised Vote. Why are the Indonesian military and police scared of clothes, flags and banners? I have heard that as the Indonesian troops were taking everything everything, local people told them “You are poor so you take it away. We don’t need all these things”. Yanto Awerkion. 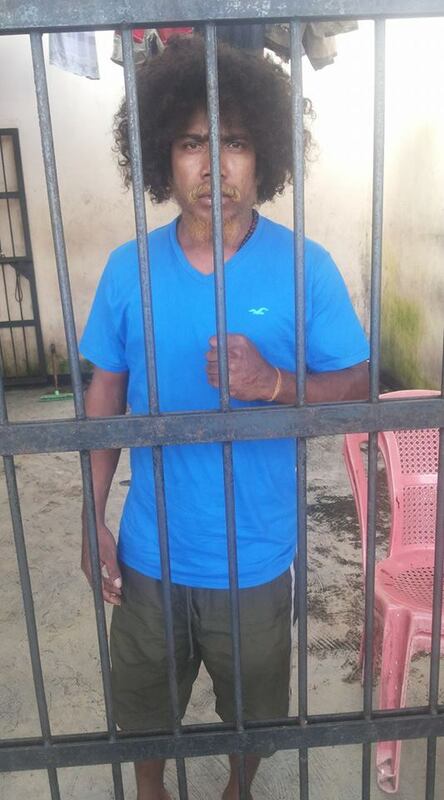 Local Head of the West Papua National Committee (KNPB), arrested by the Indonesian police for speaking about the petition for West Papuan self-determination. I am proud that the people of West Papua remained calm and peaceful, signing hymns as their gathering was raided by the Indonesian military and police. We are showing the Indonesian government that we will not be provoked by their terror and brutality. Like Mahatma Gandhi, we will fight successfully for our freedom through peace and love. The local Chairperson of the KNPB, Yanto Awerkion was arrested by the Indonesian police and remains in detention now. There are unconfirmed reports that others have also been arrested too and I have been told that some people are still being hunted by the Indonesian police.On behalf of the United Liberation Movement for West Papua (ULMWP), I call for the immediate release of Yanto Awerkion and any other people who were arrested at the scene. Why are the Indonesian military and police raiding peaceful prayer gatherings, arresting peaceful leaders and confiscating banners? Why are they so scared of this petition? 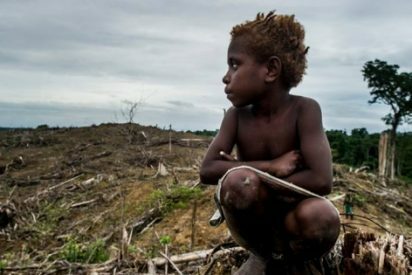 The Indonesian government has already banned the online petition in West Papua and is now trying as hard as possible to ban the manual signing of the petition too. The raiding of another peaceful prayer gathering and the arrest of another peaceful leader calling for self-determination is yet more evidence that the Indonesian government is systematically cracking down on all forms of Freedom of Expression in occupied West Papua. Once again on behalf of the ULMWP I call upon the International Community and all international supports to please keep an eye on the deteriorating human rights situation in West Papua. How can governments around the world remain silent when such obvious human rights violations continue to worsen unabated in occupied West Papua, less than 250km North of Australia? According to International Law, we the people of West Papua have the right to Freedom of Expression and Assembly. The Indonesian government claims that it allows Freedom of Expression but has been specifically condemned by the United Nations for not allowing Freedom of Expression in West Papua. Terrible events like this one today, prove to the world once again that there is NO Freedom of Expression in occupied West Papua. From the bottom of my heart, I urge all international supporters to please keep Signing and Sharing the petition. The people of West Papua have sacrificed their lives for what this petition represents. It is one of the only ways they can express themselves and their aspirations and now it is being systematically banned and those West Papuan people who sign it are at risk of being arrested, tortured and even killed. In August 2017, this petition which has already collected tens of thousands of signatures, will be swum across Lake Geneva and into the hands of the United Nations to show the aspirations of the West Papuan people that we want self-determination. We will show the world that we the people of West Papua want to be free people at last in our ancestral homeland. Please help to Take Action by Signing and Sharing the Global Petition for West Papua today. My people firmly believe that one day we will finally be free at last.